Vapetasia Killer Kustard Honeydew is a uniquely delicious vape juice blend that combines succulent Honeydew Melon with creamy Vanilla Custard for sumptuous vaping experience that will make your mouth water every time you inhale. Killer Kustard Honeydew delivers a luxuriously smooth custard flavor that is perfectly paired with sweet Honeydew for a rich tasting vapor that is nothing short of decadent. Dessert vape fans, this flavor is vaping ecstasy! 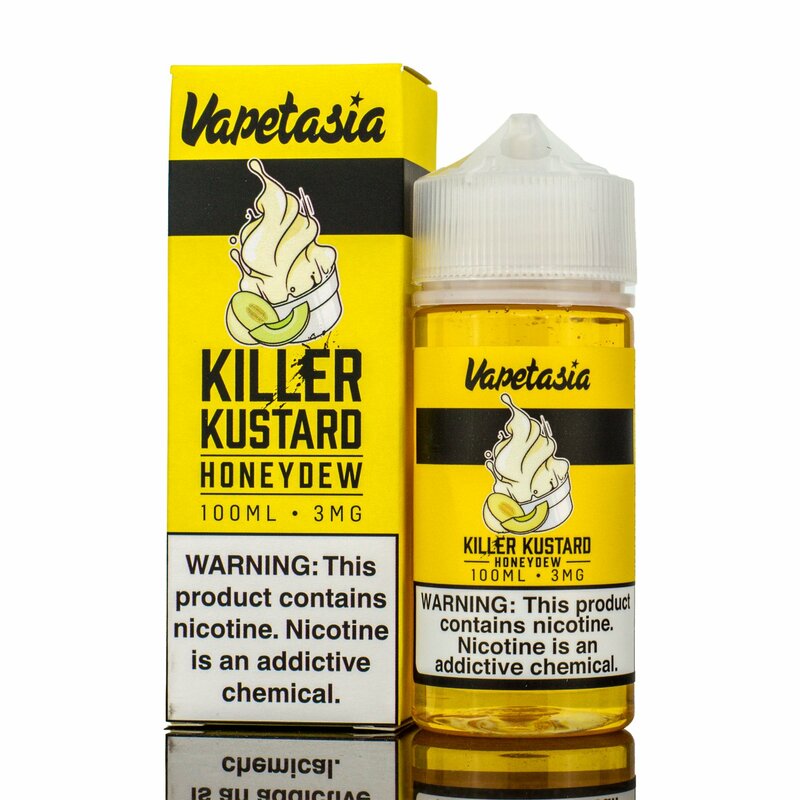 No wonder Killer Kustard by Vapetasia it is the top selling custard flavor e juice in the country. Try it today..